In my previous post I spoke about the transformation that Café Caprice (map) undergoes as night time approaches. 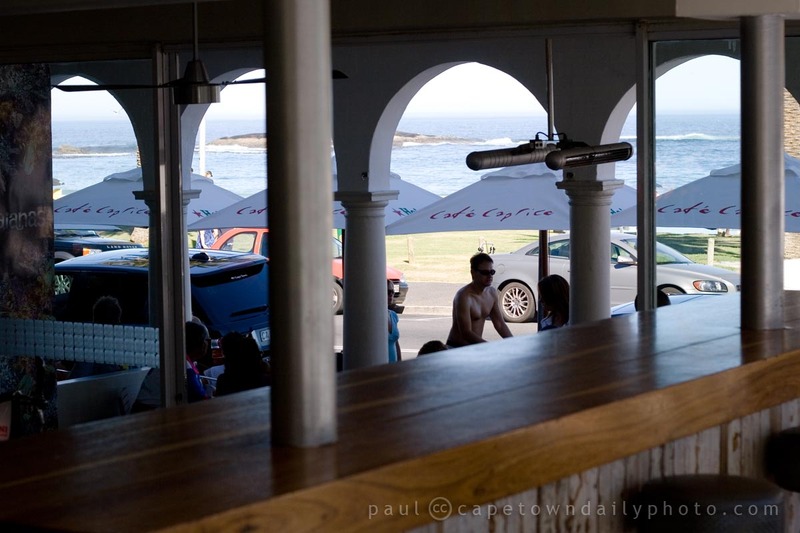 While it's one of the very popular beach cafés and night-time socialising spots, it's also well known for its breakfast vibe and menu. We've only visited Caprice for breakfast twice, but on both occasions it was relaxed, not too busy, and the food was just great. My first breakfast at Caprice was the Madame Caprice, which is made up of two slices of French toast, buttered with mustard, filled with bacon and cheese, and topped with a fried egg. This time I decided to have the vanilla- and cinnamon-flavoured French toast, accompanied by strawberries, bacon, and a dash of syrup on the side. Awesome stuff I tell you! Posted in Activities and tagged breakfast, sea on Monday, 8 March, 2010 by Paul.